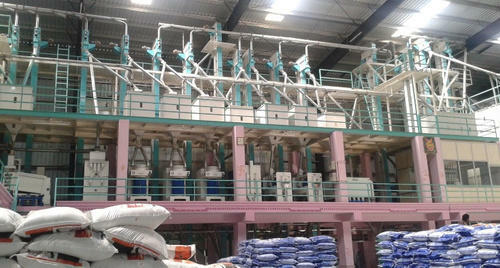 We are a leading Manufacturer of rice mill turnkey project from Bengaluru, India. Our excellence in the industry has enabled us to bring forth for our client a world-class rice mill plant. Widely used for making finest quality rice with maximum functionality and utmost ease, by using superior quality input factors. Designed and developed to work with efficiency, even in demanding production conditions. We are capable of offering client a range of rice mill plant, which are rugged in construction and highly durable in nature as these are manufactured in compliance with international quality standards. Our product range also comprises of Industrial conveyor, Belt & Bucket and cleaning system. These rice mill plants are appreciated for their optimal in performance, robust in construction, easily installable, high tensile strength, reliable operations, dimensional accuracy, long service life and less maintenance with a premium coating Tata steel to deliver best results. Further, we also able to supply these products in a variety of customized options as per the requirement. Under the strict supervision of highly qualified engineers to give trouble free services for life time period. These rice mill plants are fabricated by our renowned vendors and we provide solutions to the clients as per the requirement. These have a high demand in both domestic and international markets. Customers can easily avail this from the market with many specifications at reasonable prices.